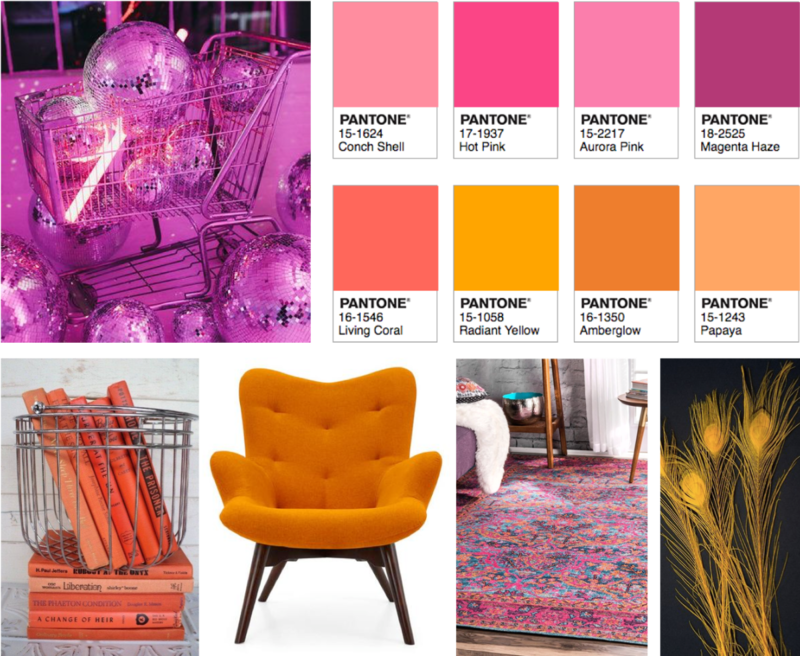 Pantone describe Living Coral as “an animating and life-affirming coral hue with a golden undertone that energises and enlivens with a softer edge.” This bright hue of coral has been seen on fashion week catwalks, in make-up looks, and is now making its mark on furniture and interior design. That is why at FullCircle we have looked into ways we can use this colour to captivate guests or audiences when used for immersive experiences such as pop-up installations and interactive spaces. Its vibrant nature can add a pop of colour to any event setting, from decorative accessories and table centres to feature walls and large furnishings. This energising and nourishing colour provides warm, happy tones that can easily be combined with other colours to create beautiful designs. Coral reefs are the most diverse of all marine ecosystems and Living Coral sits at the heart of Pantone’s ‘under the sea’ colour palette heart. We can echo this vivid colour palette in events through coloured shag rugs, cosy blankets and lush upholsteries, contrasted against lush blues and greens. The colour also highlights the increasing concern over environmental issues, with the reports of the devastating impact that bleaching is having on the corals of the Great Barrier Reef making sure it remains at the forefront of people’s minds. Pantone’s research shows that people see hues of red and orange in Living Coral, resembling that of a sunset or sunrise. This bright and blazing ‘shimmering sunset’ palette showcases a glowing array of colours that you might see pour across the sky as the sun rises and sets. Living Coral adds feelings of warmth and energy to a design. 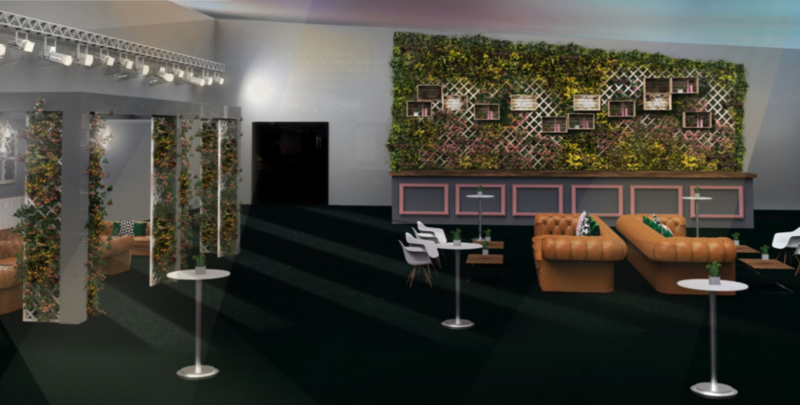 Summer 2019 at the Pavilion has been designed and themed by the FullCircle team for Ultimate Experience. Taking inspiration from complementary palettes of Living Coral we have produced a fresh and contemporary look for the venue this summer. We have used a cooler colour group including; PANTONE 16-1108 Twill, 19-5230 Forest Biome, 17-1522 Mauvewood and 16-0543 Golden Lime, uplifted by Living Coral to brighten the venue interior. 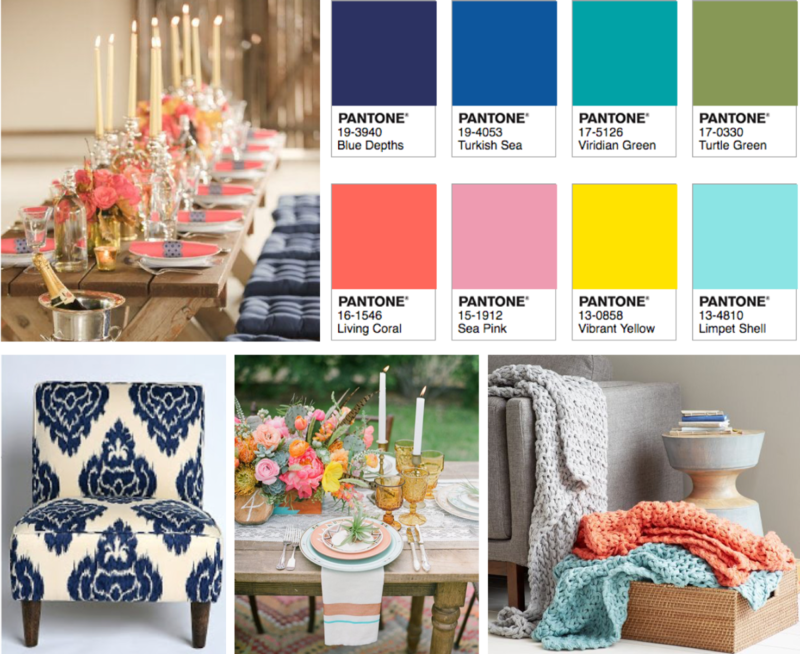 This palette integrates warmth and happiness to create the perfect atmosphere for guests. MEET THE CURATOR – Nicola Miller is Head of Design.